Khushi C. is a 5th grader at BASIS Independent Silicon Valley. She is a new student to campus (as all 5th graders are) and is very excited to have joined the school. She has an older sister enrolled in grade 10, so she knew some of what to expect before school started, but she was especially excited to get her own locker! Khushi had a shadow day before she started at BASIS Independent Silicon Valley, and the student ambassador she shadowed told her “If you like all of the subjects taught, even if they are new to you, and you are open to coming to a new environment and having lots of fun, then you should definitely come to BASIS Independent Silicon Valley.” Khushi agreed that this was true for her, and it's the very same advice she would give to any student who is thinking about starting grade 5 at BASIS Independent Silicon Valley. Khushi's day starts with English, which happens to be one of her favorite classes. Every day at the beginning of class, each student writes class and homework expectations down in their Communication Journal (CJ). Khushi explained that Ms. Srivastava is teaching them how to write quickly, because the CJ entries are timed. Currently in class, they are working on reading short stories, learning vocab and grammar, and learning about the basic elements of fiction like setting and plot. They’ve recently read The Fun They Had by Isaac Asimov, Rikki-Tikki-Tavi by Rudyard Kipling, and All Summer in a Day by Ray Bradbury. Khushi loves having Ms. Srivastava as her teacher, saying, "she is really enthusiastic and also good at giving us feedback so we can learn for next time." Khushi has always loved math and science, but this year English has topped her favorites list thanks to Ms. Srivastava! Next up, Khushi goes to Physical Geography with Mr. Ryan. Everybody lines up and needs to be completely silent before they are invited to enter the classroom; Mr. Ryan wants his students to be respectful of class time and learn how to follow directions so that they are successful in the classroom. Khushi says he is really helpful: "he always has organized packets of notes and information, and if you don't understand something, he will always make time to explain it to you during office hours." The class is currently learning all about maps, specifically, the components that make up a map and how to read maps. Physical Geography is one of the hardest classes that Khushi has during the day, but she knows that it's a really important one. She went on to explain, "when we just start to learn something there are pop quizzes—I know that he's trying to teach us that when we grow up, things will just happen and you'll need to learn how to handle them fast." At the start of third period all BASIS Independent Silicon Valley students have a 10-minute Homeroom period where they listen to important school announcements. 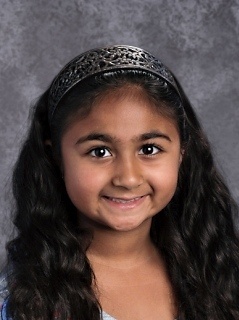 In addition to announcements, Khushi’s Homeroom teacher, Ms. Miller, also teaches her class to “learn to follow the rules.” After Homeroom is wrapped up, Khushi has Mr. St. Lawrence for P.E., where they are currently working on Presidential Fitness Testing. After P.E., it's time to eat lunch! Khushi likes to see all of her friends, and she especially loves to play two square and four square and run around outside. All of the 5th graders have the same lunch period, so once she has eaten her lunch, she may see her classmates outside or during office hours while they visit their teachers. Once she's got all of the wiggles out, it's on to either Classics or Latin. Students in grade 5 have Classics three times a week, and Latin two days a week. Khushi has Dr. Van Dusen for both of these classes. Khushi likes that Latin can be connected to various languages: "it's the base that we take words from—it's challenging, but really helpful." In Classics, Khushi says, “we are learning about Mesopotamia and the different people who lived there. It’s great to learn about ancient history and why people think what they think.” Khushi appreciates that Dr. Van Dusen always takes time to explain things and has office hours if they don't understand. After she finishes singing or learning about the arts, Khushi gets to go to her Math class with Mr. Nguyen. Math has always been a favorite class, and this year is no exception. Right now, the class is working on one-step word problems, reducing fractions, and learning about prime and composite numbers. “We get a packet for each unit so we are aware of everything, and Mr. Nguyen allows the class to complete homework corrections." Every day, they go over corrections, and then often are able to work on homework in class. Another reason she loves the class is because "Mr. Nguyen plans fun games for Fridays if we get through our work during the week." Khushi finishes the day in Mr. Archambault's Introduction to Science class, which is another one of her favorites. She noted that "he teaches us to be organized with timed CJ entries and worksheets, and it's science, so we get to do lots of activities and he always has the best attitude in class." So far, they have been learning about general methods, like observation and inferences. “We’re also learning about the metric system.” Some of her favorite class periods include fun mystery solving activities, and she can’t wait for the rest of the semester!